Looking for a way to jazz up your interior design? A sliding bard door can be an answer. 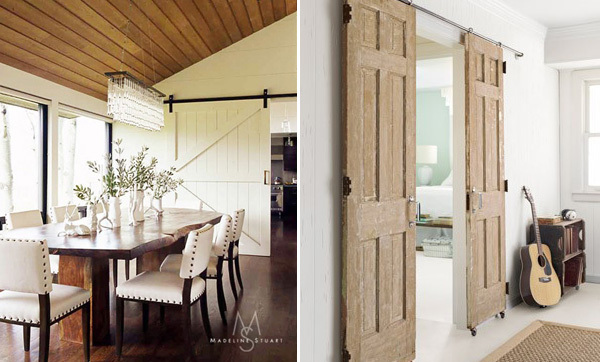 The interior sliding barn doors do not only add rustic charm to the interior but also help keep the spaces open and airy. 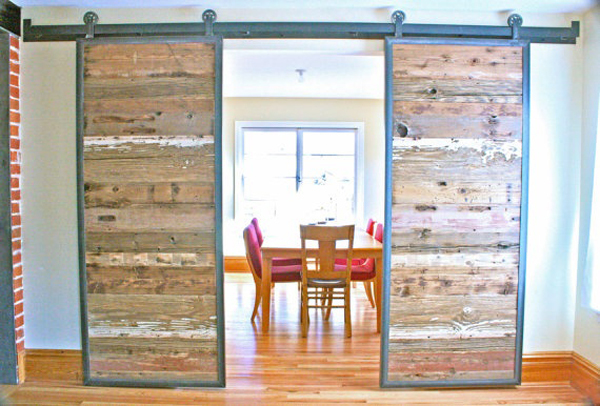 Barn doors are space-saving as they level with the walls when slid open and can be seen in many homes. 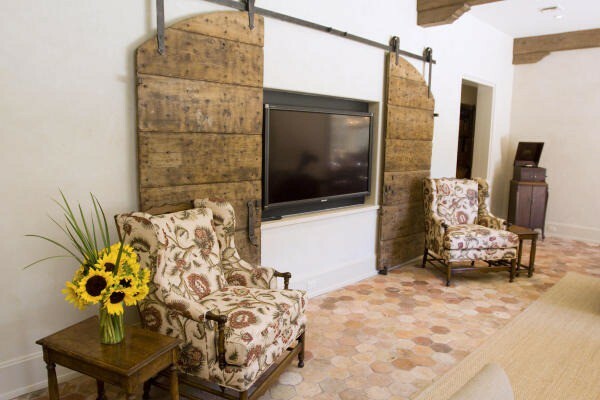 Barn doors take less space than regular doors so they can be used in the living room as they will keep it open but can be closed when it’s necessary. 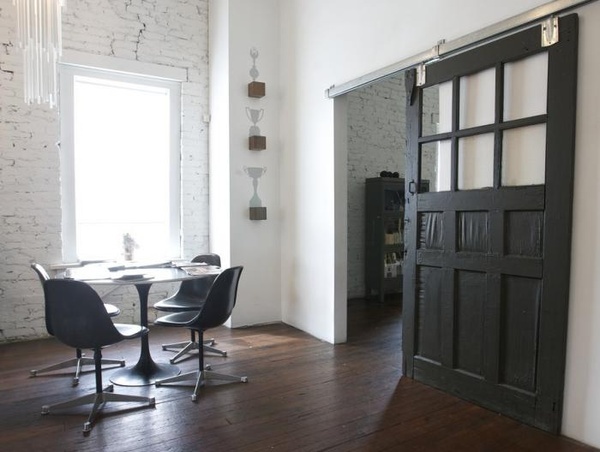 The doors can be more modern or if you are aiming for a rustic look it’s best to reclaim old barn doors and recycle them in your interior design. 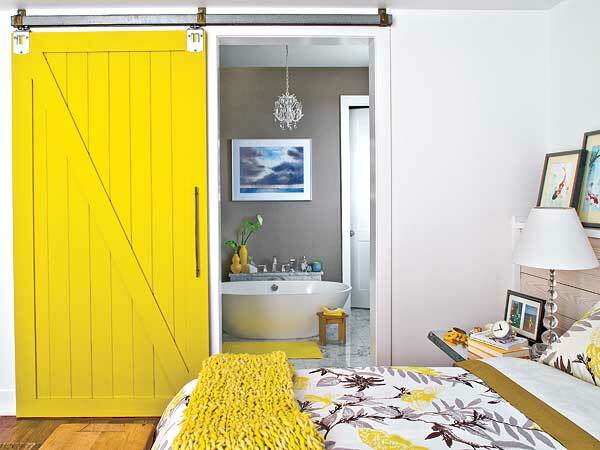 Since the bedroom is a private area it requires doors but to create an open and airy feel you can install sliding barn doors that can be kept open during the day without blocking the pathways and slid shut during the night for increased privacy. In the kitchen barn doors are used to hide away the pantry or washing machine. The open indoor/outdoor kitchen can also be designed with the barn doors to create enclosed space whenever it’s necessary. The laundry room or area can be brightened up with bright sliding barn doors saving space in small rooms and preventing the cramped look. 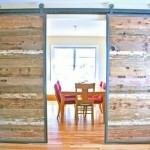 The barn doors can also be used in many other ways including hiding away shelves and storage and used as headboards. This is amazing, I really like the design of this interior. 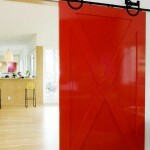 Specially with this sliding barn door, I didn’t think that this could be used in interior designing but it really is useful and amazing. Thank you for sharing this article.